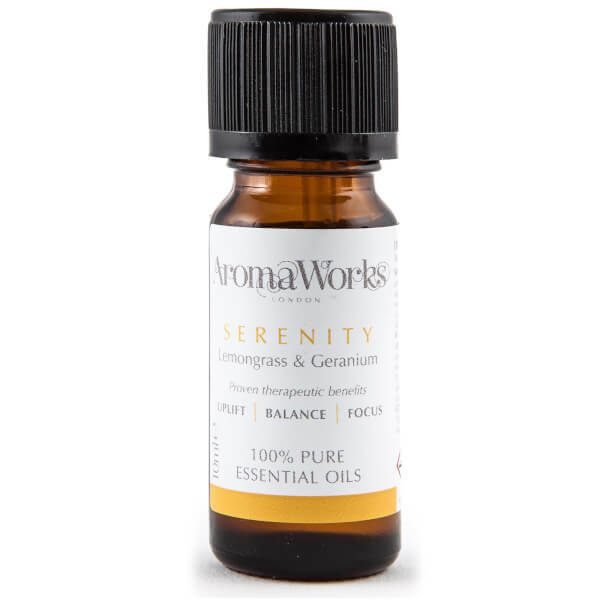 Experience relaxation at its peak with the Serenity Essential Oil from AromaWorks. The Organic Essential Oil can be massaged into the skin, or burned in order to fill the home with calmness. Boasting a vibrant citrus scent, the formula’s aroma is a blend of Lemongrass and Neroli, popular for relaxation, guaranteed to fill a room with peace and serenity.